Many of us are aware of the health benefits of these organic and natural ingredients; the lemon and the honey. Did you know that the mixture of these two can be used for different things in and on the body? Yielding super-amazing results. 1. For weight loss Perhaps you have heard of the amazing benefits that a mixture of lemon and honey drink in the morning gives to the body. The benefits of lemon multiply when it is consumed with lukewarm water mixed with honey. It boosts the antibacterial level and collagen of the skin. Good exercise with this amazing drink will give you desired results. So why not start your morning with a glass of lemon and honey drink? 2. Prevents constipation. Having a hard time in the toilet? Honey and lemon would fix that. It prevents constipation making your bowel free. 3. For sore throat and cough. The amazing organic and natural mixture of lemon and honey gives a soothing and relaxing feel to the throat. The properties of both natural ingredients works fast in giving relief. A table spoonful of honey and a few drops of lemon juice will do the trick. Best taken twice a day. 4. Honey and lemon for the face. Short of money to go to the spa? Do not stress. Honey and lemon DIY will do the trick. Steam your face with hot water so as to open the pores on the face. Get a mixing bowl. Mix one table spoonful of pure organic honey and half lemon squeezed juice and apply gently over the face avoiding the eyes. Leave it in for 15-30 minutes then rinse of gently. The result is amazing!! 5. For acne and darks pots. 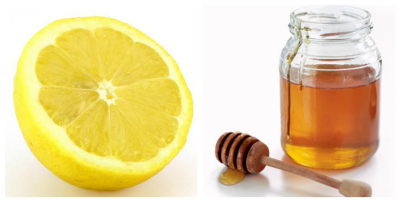 Honey is a natural toner and even the lemon contains skin lightening properties. Applying the mixture on the face regularly will fade of dark spots and acne, leaving your skin looking radiant and young. Start your honey and lemon mixture now.